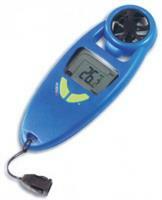 Pocked-sized digital anemometer. Range: from 0,2 to 30 m/s, scales: Beaufort and km/h, m/h, m/s or knots, peak and average wind speed, temperature and wind chill. 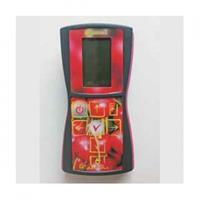 Fruit Acidity meter for tomato. There is no need for reagents to measure acidity. Fruit Acidity Meter for pineapple. There is no need for reagents to measure acidity. Portable grape Brix / Acidity Meter. Unlike the traditional titration method, no costly reagent or complicated set-up is required. From 7/8” to 2 inches (steps by 1/32”). Apple linear sizer - diameter from 55 to 90 mm. Cherry sizer from 22 to 34 mm. Cherry sizer with 6-sizes (steps by 2 mm). Aluminium pocket sizer - 13 rings - from 30 to 90 mm. Pocket sizer (steps by 5 mm) - Aluminium. 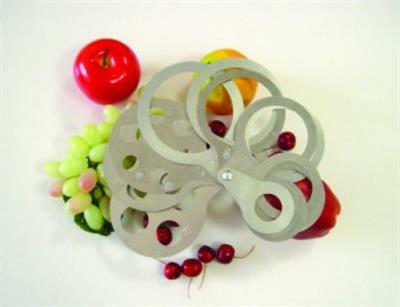 Peach sizer 6-rings measurements 16, 17 1/2, 19, 21, 23, 25 and from AAA to D - In aluminium. All-in-one pocket sizer - 30 holes: from 18 to 32 mm (steps by 1 mm) and from 30 to 100 mm (steps by 5 mm) - Aluminium. Calibration solution for conductivity meter. Conductivity standard 1,41 mS/cm, 250 ml. Calibration solution for pH meter. Standard pH 4,00, 250 ml. Sampler of land suitable sampling in soil moderately compact - in stainless steel. Digital dynamometer, capacity: 15 kg, division 20 g.
Range 0-20 kg resolution 10 gr. Platform 280 mm x 316 mm. Display LCD. Portable (with carry handle). ABS plastic housing. Compact design. AC adaptor (supplied) or 3 C batteries. Optional stainless steel pan (ref. 54108). Construction ABS plastic, Compact pocket design, Battery (included) with auto-off. 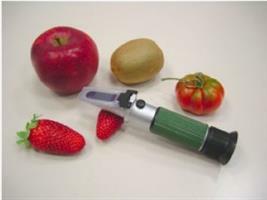 Fruit Acidity meter for kiwi. There is no need for reagents to measure acidity.